Stuff & Commonsense | Random critiques and musings from conscious and unconscious sources. 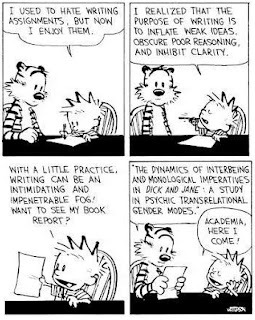 Random critiques and musings from conscious and unconscious sources. Planned Parenthood Secretly Aids Child Prostitution. This Is Huge. I kid you not. THIS IS HUGE. I hear the distant rumble of lame defensive arguments. So I shall address them now: there is no possible way that this video is simply a result of clever editing. The questions are clearly asked. The employee very clearly answers each question. You actually see her very clearly answering each question. Lip movements match the words. There is an almost complete absence of cutaways. This is simply clear, undeniable proof of this clinic assisting in one of society’s–nay, one of the world’s–greatest evils. Plus helping out with illegal child prostitutes, of course. And this is what approximately $300 million tax dollars go toward every year. While I don’t think the first half starts out too badly, the second half certainly drowns itself in fancy ’90s pop star-style runs. This seems to be a case of style over substance–which should never be the case when it comes to the national anthem, in my opinion. After hearing complaints, the school told the girl to start singing the anthem in the traditional way. End of story, right? Well, no. And guess why! Her family has decided to counter-complain, believing that the ruckus was caused by…drumroll please…you guessed it, RACISM!!!1. Take a look at the details here. I don’t care what some of those feminists say. I love Barbies. When I was just a wee youngling I owned about thirty Barbies. I loved them because you could brush and style their hair, change their clothes, and because they were…pretty. That’s right, a little girl thought Barbies were pretty. The heart, it palpitates! According to the leading feminist lore (which seems to have started once the first owners of the dolls grew up and their metabolisms slowed down), this means that by now I should have developed all kinds of self-esteem problems stemming from the first moment I held up a Barbie, noticed its slim little waist and big doe eyes, and thought Gee, this is what I want to look like one day or else I will be sad. Funny thing is, this never happened to me. At that tender age, the thought of comparing my body to anyone else’s–let alone a doll’s–had never occurred to me. And a Barbie was certainly never an image of “the woman I wanted to grow up to be”–it was a Barbie. Its figure, its proportions, its tippy-toe feet–it looked that way because that’s what Barbie dolls looked like. The line between “reality” and “doll” was quite clear. It was that simple. Nevertheless, some feminists are positive that their personal insecurities about weight/height/noses/leg length/non-pointed-feet-ness all stemmed from those innocuous dolls that they played with as girls, and they are determined that their own daughters be saved from a similar fate. There’s little doubt that soon they’ll be saying that Bratz dolls are evil because they encourage girls to desire humongous feet and bulbous heads. I’m thinking that these memories might have become slightly tainted by Title’s adult outlook, but that could be just me. I understand what it supposed to be the cathartic nature of this exhibit. But in any case, a whole series of artistic pieces devoted entirely to images of drowning Barbies seems less cathartic and more…creepy, wouldn’t you think? Not to mention the strange undertones of serial violence underlying the images. Barbie after Barbie, shown placidly floating below a rippling surface. Blonde hair drifting about frozen smiles. Honestly, Title, they’re only dolls. From the mouths of babes: “Don’t be silly, she’s just a toy.” Sadly, this is not the moment when the woman realized that she was hoisting her personal insecurities onto a doll and that her young daughter was remarkably clear-headed and unaffected by the message the doll was supposedly giving her. This is not where she decides to rethink her whole animosity toward a piece of molded plastic and thank her lucky stars that her kid was thinking like a real kid should. No, this was the jumping-off point to the rest of the article that essentially blames Barbie for girls’ bad body images. And now for my slow head shake of disbelief. What women like these and artistes like Title need to realize is when they say that Barbies makes girls feel bad about their bodies, they are only announcing to the world that they themselves feel bad about their bodies. I can’t believe that I was an exception to the rule when, as a young girl, I assumed that Barbies were Barbies, not prototypes of the young bombshell I was supposed to become. The latter idea simply never entered my youthful mind. How many girls have become convinced by bitter adult women that these pretty dolls with brushable hair were, in fact, harming their body images? How many of them would never have come to that conclusion had the bitter adult women not brought them to it? That’s right–what was supposed to be a respectful service in memory of six innocent people got turned into a star turn for Obama. My dad isn’t the only person who noticed. Apparently the media and the White House staff have decided to toss aside sensitivity and–you’ll never guess–focus on making Obama look good (you gotta be kiddin’ me!) Do the people in charge of Obama’s PR really think no one will find this inappropriate? At least the speech itself was, according to all reports, quite good and appropriate for the occasion. This wasn’t the only time Obama has had to deliver a speech in regards to a shooting disaster, and the last time it went embarassingly awry. Some of you may recall that a few hours after the Ft. Hood shooting Obama also took to the airwaves–and started it by thanking staffers and even giving a “shout-out.” It was jarringly inappropriate. This prompted an article on nbcchicago.com deploring Obama’s seeming disconnection with the solemnity of the occasion. That’s right, even NBC was able to see that. Why couldn’t Obama? That went far beyond scoring political points. I’m still scratching my head. Is there anything significant about today other than the numbers in its date? Not really. Unless, obviously, you count Theodora being crowned Empress of the Byzantine Empire in 1055 (duh!). But other than that? Not so much. Do we care? Of course not! For today is a day beloved by number geeks and trivia nerds for having one of those rare and cool-looking configurations of matching numbers. The next time we see matching numbers in a date will be on 12/12/12. Savor this, folks, because none of us will be around in 2111 to see this again (not to be a downer, but hey, it’s true!). This is the title that will be burned into my fangirl memory for all time. Interestingly, the Riddler will NOT be the next villain (contrary to a great deal of popular rumor). So now I really don’t have a clue who it will be. Hmm…it will be filmed in New Orleans…hmm…uh-oh…please no, not Harley Quinn!! The thing I don’t like about Harley Quinn is that she was kind of the Joker’s girlfriend. And in the Nolan universe, the Joker has no backstory, which added to the mystery and frightfulness of the character. Having a “girlfriend” come into the picture would screw that up. NO NO Nolan, no Harley Quinn, PLEASE! While idily browsing music review sites hoping to discover some new indie bands to get hooked on, I noticed some sites have been making lists of their favorite albums from the past decade (I guess they’re starting early). While I enjoyed trying to understand the music review lingo in these lists (please, what are alt-stab-synths? ), I found myself being more drawn to the images of the album covers. Some covers are standard–most are just bizarre–and some really stand out. And I thought: there are quite a few album covers that everyone agrees are iconic, like the Abbey Road cover and that darn prism on Dark Side of the Moon. So what recent album covers–released in the past 15 years or so–could become iconic? Now, I’m not too bad at predictions. When the hype for Glee first began, I remember watching the first commercial and thinking, “That’ll be a cult hit.” Pardon me as I take my bows. To be fair, this album cover is already well on its way to becoming iconic. But I really couldn’t make a list of great covers without it. I’m a sucker for vintage images, and this is a great one–beautiful colors, charmingly rendered turn-of-the-century bathers, original stains from wear, and the surrealistic addition of what appears to be either a slice of potato or a drum in place of the lady’s head (yes, pretty sure it’s a drum). The latter is incorporated into the picture so well that at first glance I thought it was a painting done by a Magritte fan. 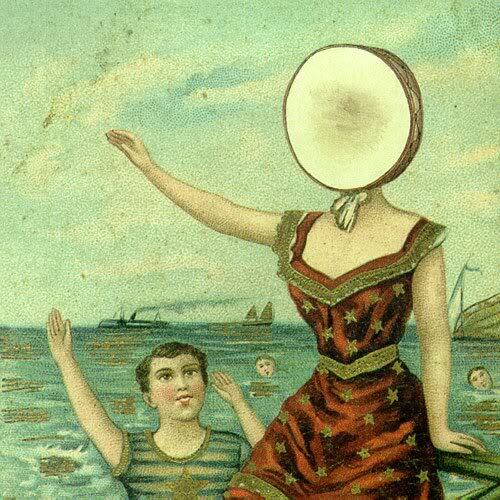 A fantastic complement to the quirky, carnival-edged rock of Neutral Milk Hotel. In all honesty, I don’t think this album is the greatest. “Lisztomania” is a great track, as is “1901,” but the rest of the songs kind of blend into each other, and the two instrumental tracks don’t do much for me at all. But just look at that cover. Three colored silhouettes of falling bombs against a patch of innocent pink. The title in white on the topmost bomb. Simple, slightly retro-style graphics. Is it stunning? Maybe not, but it’s the kind of striking-yet-subtle image that could one day show up as a poster on our kids’ dorm room walls. What could be more awesome than using a 1500s-era painting by Pieter Bruegel the Elder as your cover? And what could be more fitting for this folksy baroque band? Its charmingly busy image beats studio poses and carefully timed artsy shots by a mile, in my opinion. It was on the strength of this cover alone that I knew I had to give the Foxes a listen. And I’m sure I’m not the only one. Speaking of carefully times artsy shots…well, this isn’t one. And it’s a good thing. Clear, candid, and slightly bizarre, the image gives little clue as to what we’re supposed to take away from it. Is the young model surprised? Scared? Joyous? Philosophically pessimistic? It’s the viewer’s decision. And for those reasons I will call the “Contra” cover a stand out. It also doesn’t hurt that the image is right now embroiled in controversy. (Which spawned quite a few headlines playing with the words “contra” and “controversy.” Har har, newsies. Har har.) After all, what could make a picture stick in the public’s consciousness more than a Contra-vers–wait, no, forget it. I won’t lower myself. Ah, Arcade Fire. My beautiful Arcade Fire. How I love thee for thy divine indie-rock, so obviously above most indie-rock and yet so alluringly distant from most of today’s vapid Top 40 pop. I would count the ways that I love thee, but for now I will settle by listing your cover art for “Funeral” as being Soon To Be Iconic. How could it not be, really? The carefully hand-drawn hand and baroque-esque flourishes, the demure band title in a scrapbookish format, the neutral tones…it adds up to a quirkily beautiful piece. Soon to be a little more legendary than it already is, dearest Arcade Fire. Call me. Don't go around saying the world owes you a living. The world owes you nothing. It was here first. --Mark Twain. 1. Hit "Sign Up" and enter your email address. 2. You are now subscribed to this blog! 3. Receive joy as notifications of all my blog posts are sent to you FOR FREE! No spam, ever! Satisfaction almost surely guaranteed although occasionally it depends on your political leanings! Sign up to receive joy!